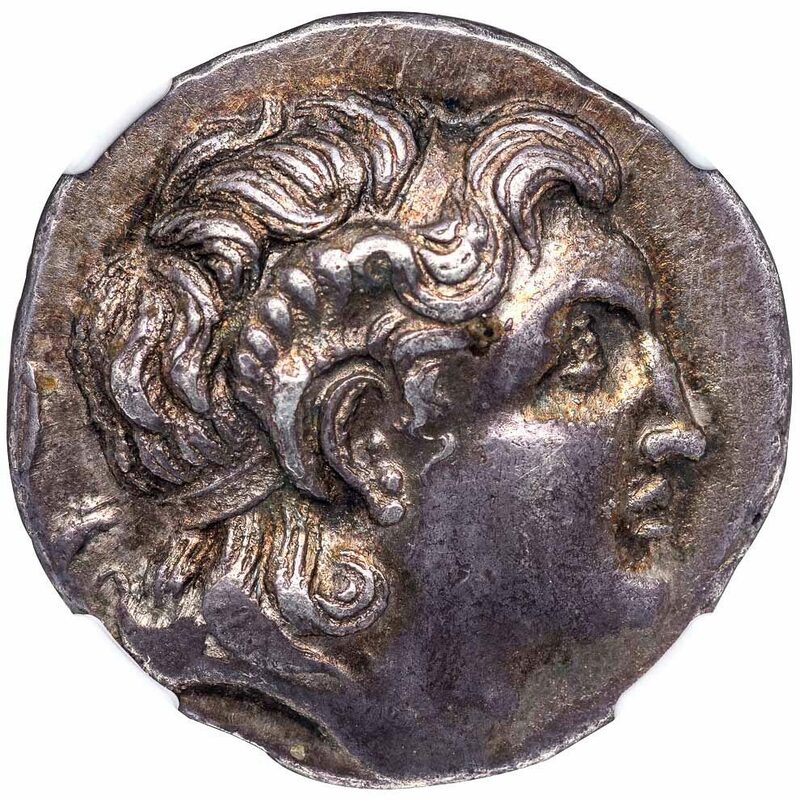 Silver Tetradrachm using the types of King Lysimachus, struck at Cabyle, 17.01 g.,28 mm. Rev. 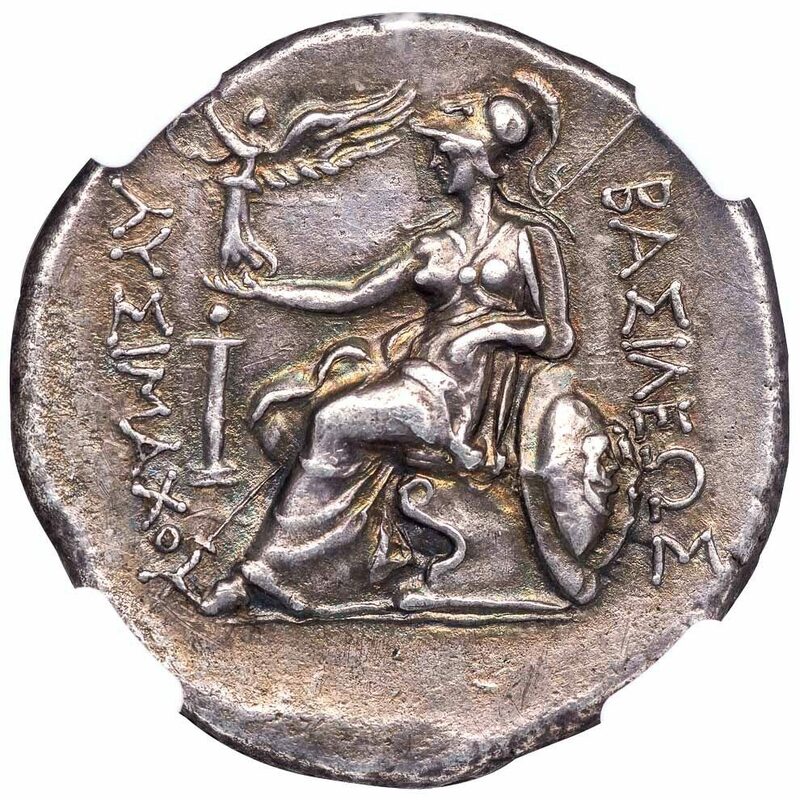 Athena enthroned left, holding a Nike crowning Lysimachos’ name, herm in left field. Fischer-Bossert, RBN 151 (2005), 20 (same dies). 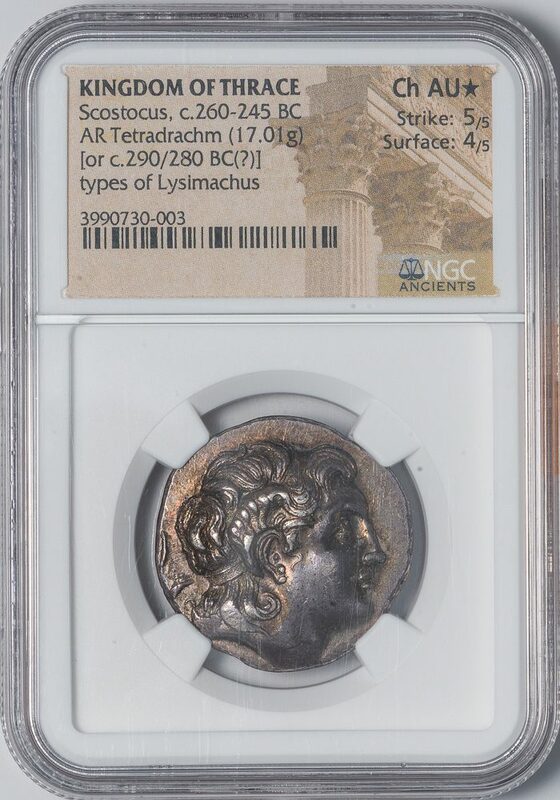 NGC graded CHOICE AU STAR, Strike 5/5, Surface 4/5. 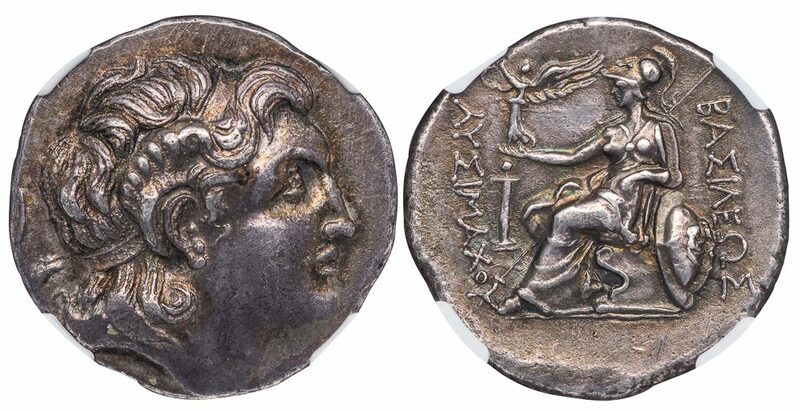 A seldom seen variety of Lysimachus tetrdarachms that is die linked to series of coins struck with the name of Scostocus, an otherwise unknown Thracian dynast of the mid-third century BC. Although this particular coin does not bear the name of Scostocus, others from the same series do. It is uncertain why the Thracian dynast chose to identify some of his coins and not others, but undoubtedly these boldly struck pieces were meant to pay his mercenaries that by now were well accustomed to Lysimachi.